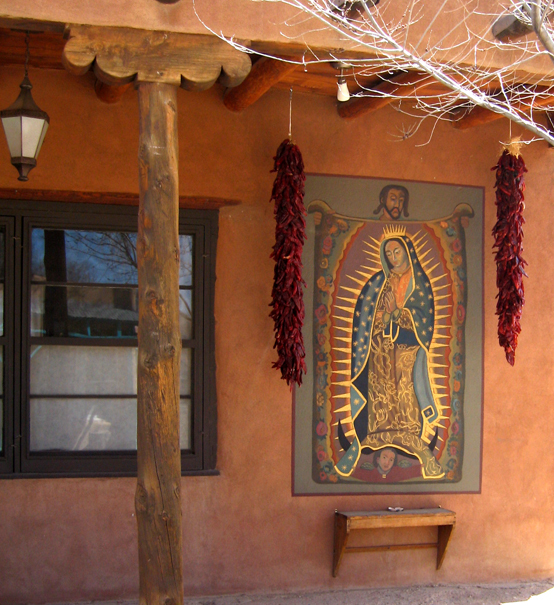 In Santa Fe, the image of Our Lady of Guadalupe is honored within the parish’s santuario. Outside, a 12-foot bronze statue of Our Lady of Guadalupe stands near the entrance, its base often decorated with fresh roses. 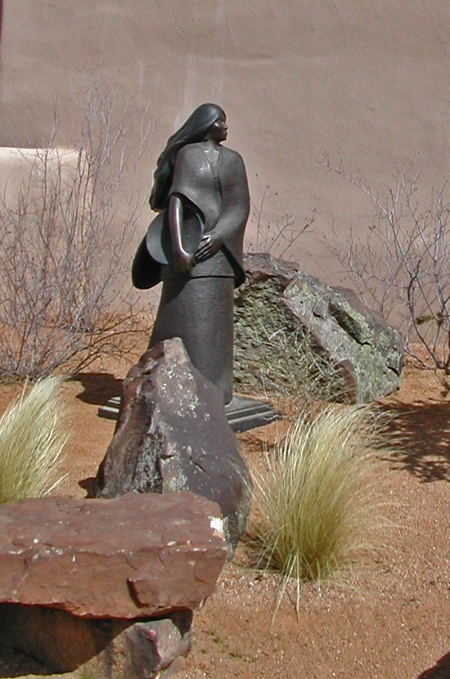 Parishioners accompanied the statue from Mexico City, where it was cast in bronze, to Santa Fe in 2008. Church is converting a weedy slope in front of its parking lot into a shrine that tells the story of the iconic Our Lady of Guadalupe. The church also will create an Institute for Guadalupe Studies and a Marian Resource Center and Library in the old Guadalupe School and Convent across Agua Fría Street. 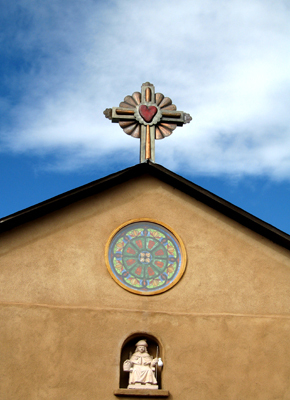 “It’s a place where people can come and look for resources about Our Lady of Guadalupe,” Nguyen said. 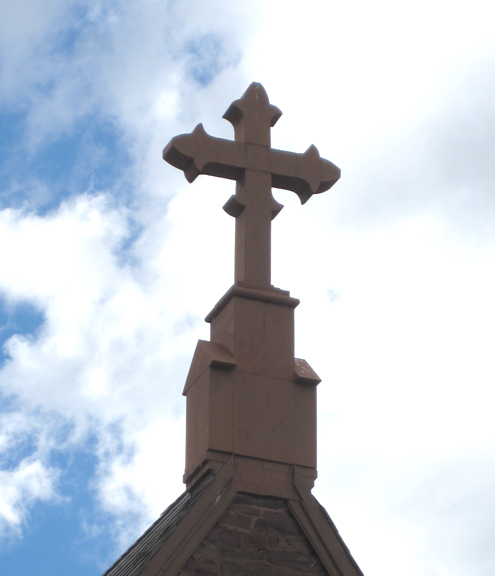 The Santa Fe Hill of Tepeyac is “a wonderful way to pay honor to our Mother,” parishioner Diana Lujan said. I shoot a lot of cemetaries. For heart-rending, technicolor boisterous displays, you just can’t beat a New Mexican cemetary on Easter, Day of the Dead or Christmas. I’ve made it to my favorite, the Nambe Church cemetary in Nambe, every Boxing Day for most of the last 20 years. 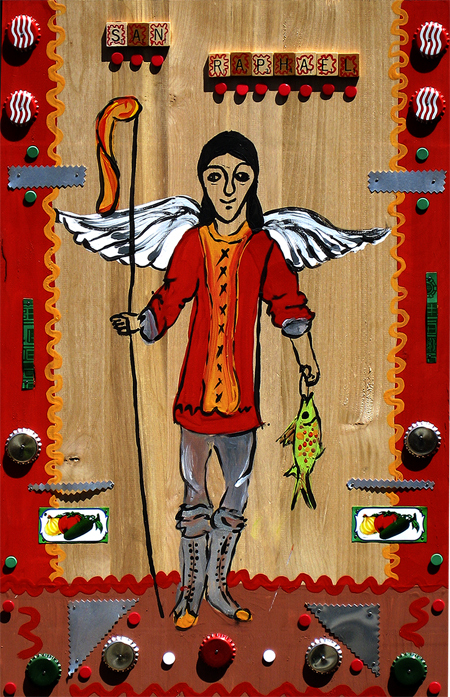 I follow that up with New Year’s Day in Acoma. It seems to make the perfect emotional double-header. 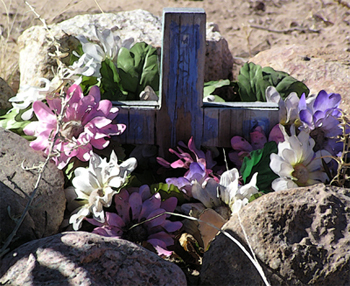 I found this small, weathered cross tucked away in a far corner surrounded by tumbleweeds and scruffy dead plants. The new flowers shows that this lonely hidden grave hadn’t been forgotten.